Sometimes some of your friends accounts get banned or deleted. 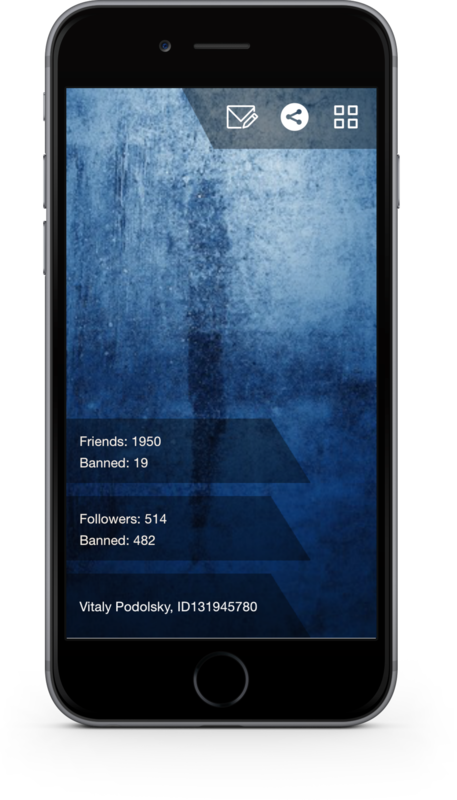 This application clear banned friendâ€™s accounts from your VK profile to make it looks clean. How often do we have to observe the mess in our friends and subscribers? Strangers, looking at your profile, might think that you have used third-party methods to bring visitors to your page... Have you tried to clean friends or subscribers manually when they are (considerably) more than a few people? Our program is designed to automate the process of profile cleaning in social network VKontakte! Use "Clean for VK+" and keep your page neat and tidy! Easily and naturally Â¯ \_(ãƒ„)_/ Â¯ You are no longer obliged to scroll through long lists of your friends and subscribers if you want to find all the blocked users and clean up your page!